Sponsors For This Project: Dometic Environmental Corporation | Garmin Ltd. | Argonaut Computer Inc. The boat did not come with a radar, the auto pilot was in pieces, and the depthfinder dated. 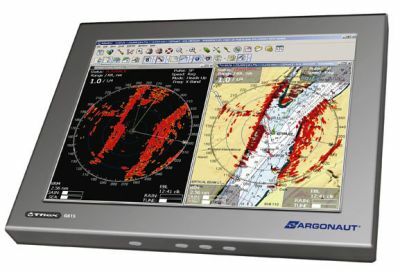 The Garmin 2010 is almost new and a smaller Garmin is a backup but is this the real answer for a boat of this caliber going to the Canyons? We are finding the choices of radar, autopilot, plotters, and fish-finders daunting. Each manufacturer says theirs is the best. Some may be better than others but you have to have a special degree to know how to use them. Research is time consuming and I do not necessarily want to "follow the pack" and purchase what everyone else has. The pack may be right, but they may not. Often people buy what has been around forever or what has a hold on that area because a strong dealer has made his mark. But if we all did this, we would still be looking through Eyesenglass Enclosures instead of EZ2CY! We want the best product for this boat and for us to use! The choices for navigation are enormous, confusing and conflicting. Products that claim to do the same thing range wildly in price. One of our first objectives was to get a large sunlight readable monitor to facilitate our viewing information from any instrument we would decide on. The majority of true sunlight readable monitors range in price from $3,000 to $6,000 dollars. After extensive research we found this 15" water-proof monitor that can be read from almost any angle. The technology used promises longer life and less power draw than most others on the market and has brightness equivalent of almost 2000. We tested the Argonaut unit in direct, extreme light and had no problems. The unit shows bright vibrant colors and is viewable from most angles. We found this unit to meet or surpass others on the market and the price for a great price under $1,000.00! 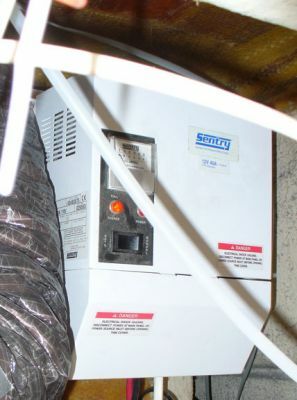 The other companies do not want you to find this unit. We will have one of these front and center at the helm and another in the cockpit. A network system is, without question, the way to go. The network ties Radar, Plotter and Sonar together to make things very funtional. With that said, which manufacture is best? Most of the packages on the market are quite similar in features that allow overlay, split screen, interface with autopilot, etc. Big differences (besides price) were that some companies units were user friendly and others were very confusing. We finally found a unit that was user friendly and came from an aviation background. Landing a plane on a small strip of pavement takes detail. We wanted that detail for our boat! Garmin now has a 6' Open Ray Radar that gives amazing detail. 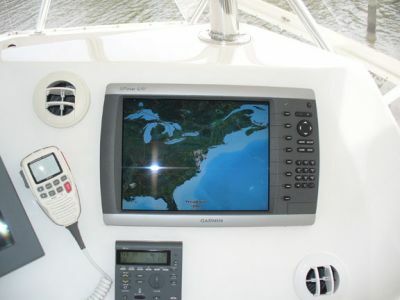 We are getting the 4212 unit that encompases a 12" monitor and have chosen a 1kw transducer for the sonar feature. This combination will make this boat canyon ready! 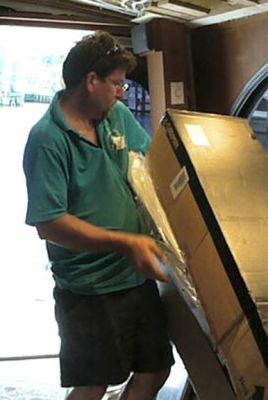 AND the unit comes preloaded with detailed maps for all U.S. waters. AND we get all this for much less than any comprable product on the market. Garmin's reputation for customer service was also a consideration that is a bonus. A new toy has arrived. Not a toy! We are in good hands with this six foot Open Ray from Garmin. Now if we get the hardtop installed, we can mount it. 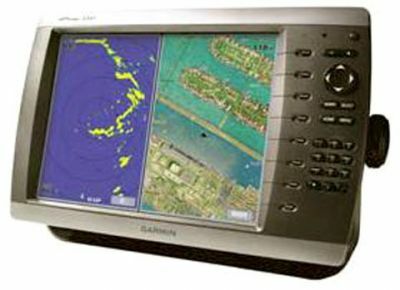 Garmin is the heart of our navigation equipment. 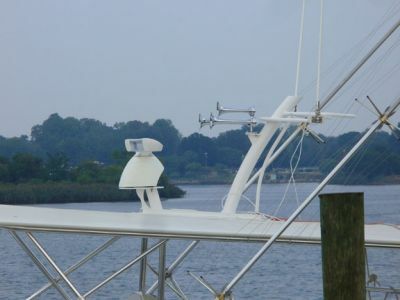 The six foot ray is shown mounted on the mast. 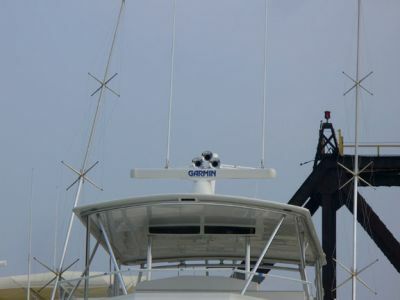 You can tell that the Garmin Radar inspired Pat in his fabrication of the mast. We are anxious to complete the wiring and installation to find out what Art (the owner of Anchor Bay East) has been bragging about. He said the 4212 is very user freindly, easy to read and full of valuable information. 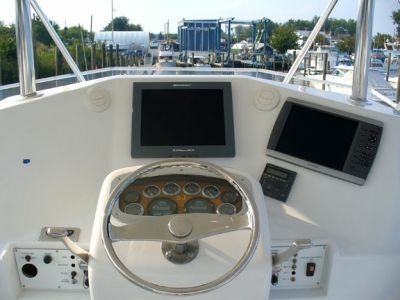 The 4212 is pictured on the right and can feed into the 15" monitor center or on the cockpit monitor. The Garmin interface is cool stuff! This is the Garmin B260 1kw transducer. It is installed in a high speed fairing block and is canyon ready. We can't wait to see the detail this baby promises. 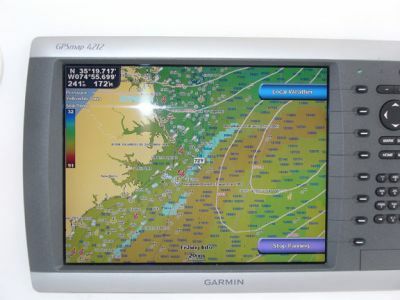 In the first frame of this section we ask if Garmin is the right choice for a boat destined to fish the Canyons. We found that some companies that had long held the top tier status for this frontier even laughed at the prospect of Garmin. We do not think they are laughing anymore. In fact, they are now trying to catch up with Garmin technology. The view shown is XM weather that gives up-to-date info on what is happening so the Captain can make safe choices for his vessel and crew. By naming a species such as Tuna, the Garmin unit will show the areas in the Ocean where the temps are right for this species. This is a cool feature! 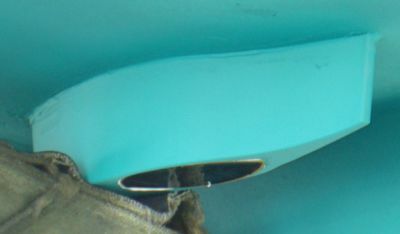 The areas are shown in Aqua color. Sonar at its best. We can't wait to get to the Ocean and try this out. There are so many assetts in this unit that should help find the fish that it is astounding. 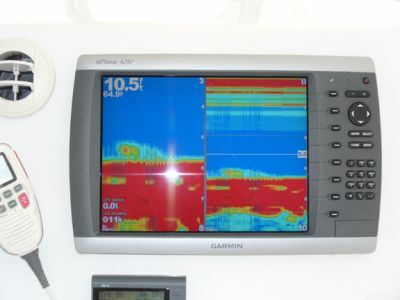 From temp charts, to detail sonar, to the chartography fish view to cruise the canyons and more. We will not have much of an excuse if we do not catch fish. 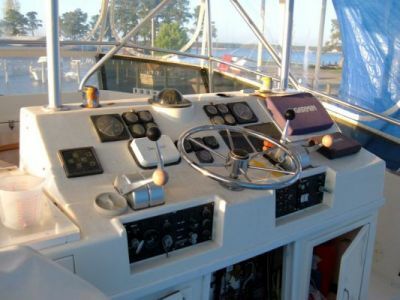 Detail with the 6' Open Ray and Garmin Technology were the reason we chose Garmin to begin with, price was an added bonus. Nice job Garmin! 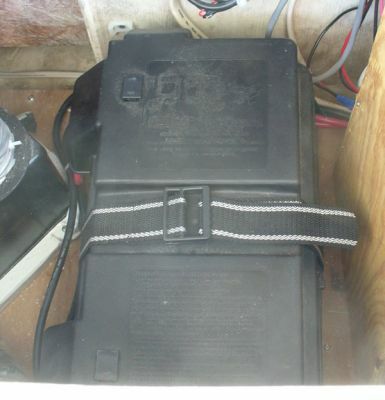 As a saftey feature, we added this battery on the bridge to feed the NAV instruments. Having the battery at this high point could make a big difference in a bad situation. We also installed this Sentry charger on the bridge dedicated to this battery.